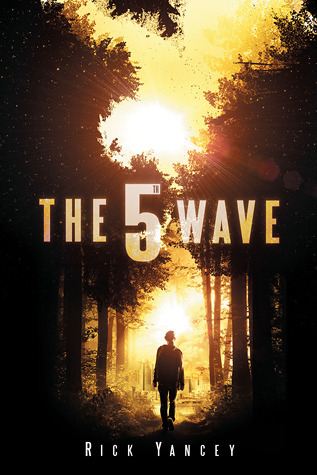 Book Review: The 5th Wave by Rick Yancey - Book.Blog.Bake. good to read such a rave review! i just ordered this for the YA section in my library and am excited to read it myself! I’m glad you liked this! I, too, was really nervous to read it after hearing about all the hype surrounding it. But I thought I also thought it really deserved the attention it was getting – I love it when a book has me so hooked I carry it around like it’s glued to my hand! Nice review. I know this is going to be a must read for me! Heard so many great things and it sounds fantastic! I’ve always liked sci fi. Definitely sounds like an interesting read. I do like the strong female lead and I think I’m going to pick this up sometime. 😀 Great review, Stormy! Thank you! And I hope you enjoy it whenever you decide to pick it up! I was worried about all the hype surrounding The 5th Wave too and I’m glad to see that you enjoyed it as much as I did. And I totally agree about villans that can pass as humans but just want to do harm – SO SCARY. Great review! That is always the 100% full-proof way to make a villain scary for me. It’s just such a frightening idea! Yeah, aliens are just a little TOO out there for me most of the time(well, I love Doctor Who, but that’s different in my opinion), and while the alien idea was hard to take at first, I really enjoyed it by the end of this book.